As bike lane obstructions go, this isn’t all that bad. Still, it’s an example of why people on bikes sometimes can’t use the bike lanes all that well. This is on Albany’s Salem Avenue, where homeowners have swept the autumn leaves into the street in the hope that sooner or later, the piles will be picked up. And usually that happens, eventually. 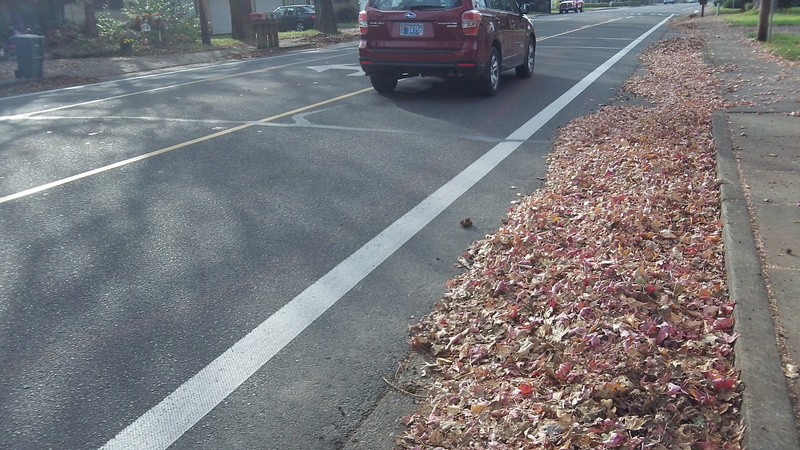 The city has asked people not to block bike lanes with piles of leaves. But what choice do they have? They can’t pile them up in the traffic lanes. Well, the city has also asked homeowners to leave about a foot along the gutter clear for rainwater to flow. If people did that, bike riders could use that gap and would not have to get into or close to the traffic lanes. But it’s not always possible. Leaving a foot next to the curb just results in hazardous riding. 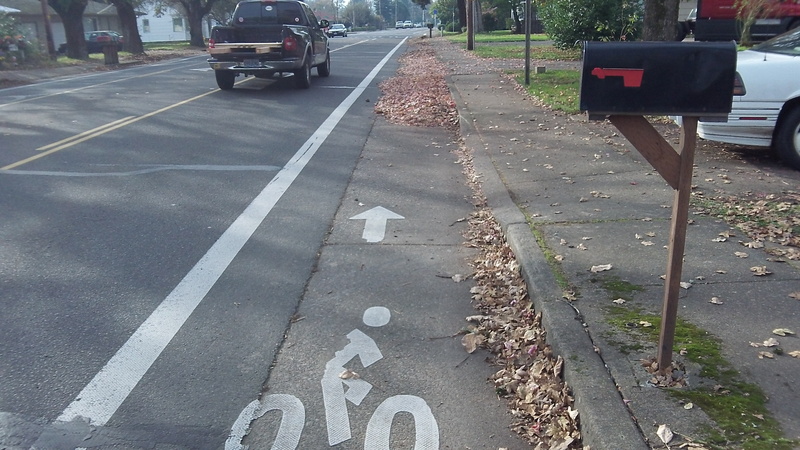 You have to deal with pedal strike on the curb or riding in potentially, very slick leaves. And you never know what hidden “treasures” may be under the leaves, such as jagged glass etc.